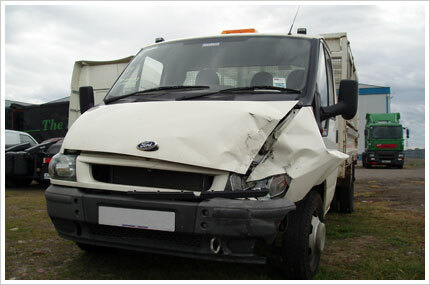 If your truck was involved in an accident and is beyond repair or if the one you own has become too dilapidated and costly to keepup, you should consider disposing them through Hazara Car Removals’s network of truck wreckers throughout Melbourne. You don’t have to be stuck with a hunk of junk. Turn that pile of metal into good, useful cash quickly and efficiently. Not only do we offer the best cash quotes for your units, we’ll even remove them from your property completely free of charge. That’s a sweet deal, don’t you think? Whether your truck is big or small, we’ll take it. Just contact us through (03) 9701 8740 or 0409 145 434 or fill out the form to the right to find out if we’ll take it. There are times when life finds you looking at a particularly big issue, and trying to remove a big, old delivery van that has been in a wreck, or up and died, can be one of them. That is where professionals who remove and purchase vehicles for scrap, come along and lighten up your life. You can leave truck removals to pros who may even help put some instant CASH in your pocket. The general price range of cash for trucks seems to be $500 all the way up to $12000, depending on the manufacturers. Below is a list of some of the truck brands we usually remove and dismantle. If you can’t find your make or model in the list, all is not lost. Truck removals are best left to professionals, but they do not have to cost you money. Contact Hazara Car Removals that handles commercial vehicle removals that will cost you nothing but the time to set up the appointment. That way your issue will be handled, you will help the planet with your recycling efforts, and you will end up with some unexpected cash in your pocket. This is even better than the online classifieds solution, since these vehicle removers will definitely show up and leave with your wreck.